An email client is a computer program used to read and send electronic messages. How Does an Email Client Differ from an Email Server? An email server transports and stores mail centrally, most usually for more than one user, sometimes millions. An email client, by contrast, is what a single user like you interacts with. Typically, the client will download messages from the server for local use and upload messages to the server for delivery to its recipients. What Can I Do with an Email Client? The email client lets you read, organize and reply to messages as well as send new emails, of course. To organize email, email clients typically offer folders (each message in one folder), labels (where you can apply multiple labels to each message) or both. A search engine lets you find messages by meta-data such as sender, subject or time of receipt as well as, often, the emails' full text content. In addition to email text, email clients also handle attachments, which lets you exchange arbitrary computer files (such as images, documents or spread sheets) via email. 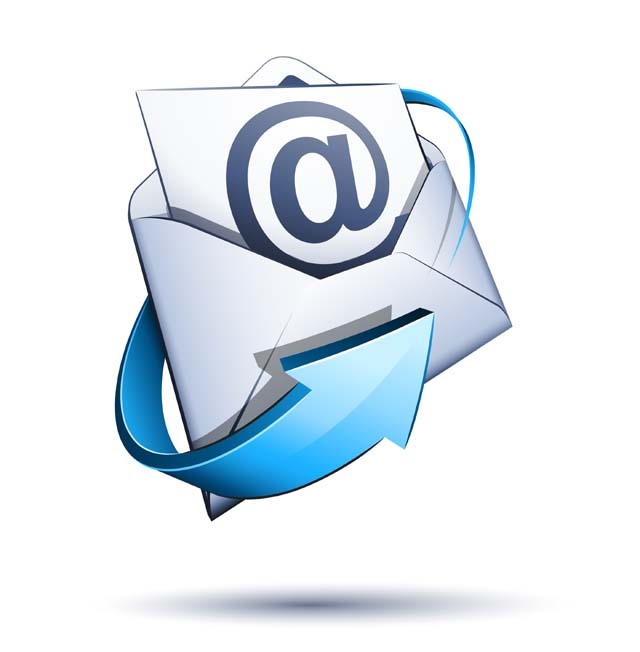 How Does an Email Client Communicate with Email Servers? Email clients can use a number of protocols to send and receive emails via email servers. The messages are either stored only locally (typically when POP (Post Office Protocol) is used to download mail from the server), or emails and folders are synchronized with the server (usually when the IMAP and Exchange protocols are employed). With IMAP (Internet Message Access Protocol) and Exchange, email clients accessing the same account see the same messages and folders, and all actions automatically synchronize. Email protocols other than IMAP, POP and SMTP are, of course, possible. Some email services offer APIs (application programming interfaces) for email clients to access mail on their servers. These protocols may offer additional features such as delayed sending or setting aside emails temporarily. Historically, X.400 was an important alternative email protocol in use primarily during the 1990s. Its sophistication made it suitable for governmental and business use but harder to implement than SMTP/POP email. With web-based applications that access email on a server, browsers turn into email clients. If you access Gmail in Mozilla Firefox, for instance, the Gmail page in Mozilla Firefox acts as your email client; it lets you read, send and organize messages. The protocol used to access the email, in this case, is HTTP. Can Automated Software Be an Email Client? In one technical sense, any software program that access email at a server using POP, IMAP or a similar protocol is an email client. So, software that automatically handles incoming email can be called an email client (even when nobody ever gets to see the messages), especially in relation to the email server. What Are Typical Email Clients? Typical email clients include Microsoft Outlook, Mozilla Thunderbird, OS X Mail, IncrediMail, Mailbox and iOS Mail. Historically important email clients have included Eudora, Pine, Lotus (and IBM) Notes, nmh and Outlook Express.